Two months before he was assassinated, Malcolm X, in a speech at Harlem’s Audubon Ballroom in December 1964, spoke about the influence of the corporate media. Malcolm told his audience that the corporate media often worked in the service of those in power and sought to convince ordinary people not to fight on the side of the oppressed. ‘If you aren’t careful, the newspapers will have you hating the people who are being oppressed and loving the people who are doing the oppressing,’ he said. For anyone following closely the Australian newspaper’s coverage over the last month of the Palestinian Boycott, Divestment and Sanctions (BDS) campaign against Israel, Malcolm X’s words ring true. As most pro-Palestine supporters in Australia will be aware, the Australian has developed an obsession with the campaign, which was initiated in 2005 by 171 Palestinian civil society groups, including political parties, unions, youth and women’s associations. Inspired by the South African struggle against apartheid, the campaign is conducted in the framework of human rights, solidarity and resistance to injustice and oppression. It calls for non-violent punitive measures to be maintained against Israel until it meets its obligation to recognise the Palestinian people’s inalienable right to self-determination, and fully complies with international law. The campaign opposes all forms of racism, including Islamophobia and anti-Semitism. Anyone reading the pages of the Australian over the last month would not, however, be aware of any of these facts. Between May 1 and May 31, the Australian published 26 news articles, editorials or opinions on the BDS campaign, the vast majority of which have been overwhelmingly negative, condemning the Palestinian BDS campaign and Palestine supporters as anti-Semitic and running an intolerant hate campaign. Of the seventeen news articles, four editorials and five opinion piece run the Australian, only one of the op-eds was pro-BDS. All editorials have been anti-BDS, as have most of the news articles. What has been overwhelmingly noticeable about all of the Australian’s coverage of BDS is the absence of the voices of the oppressed: in this case, the voice of Palestinians. In contrast, the vast majority of news articles and op-eds have privileged the voices of pro-Israel politicians and leading members of various pro-Israel Zionist lobby groups in Australia. Also noticeably absent from the Australian’s coverage of BDS is an acknowledgement that under international law Israel is carrying out an illegal and belligerent military occupation of Palestinian territory. The Australian’s denial of Israel’s occupation, and the human rights abuses against Palestinians document by the United Nations and human rights organisations both inside and outside of Israel and Palestine, reached absurd proportions on 30 May in an article by Ean Higgins, which claimed that Israel was only engaged in the ‘alleged oppression of the Palestinians’. 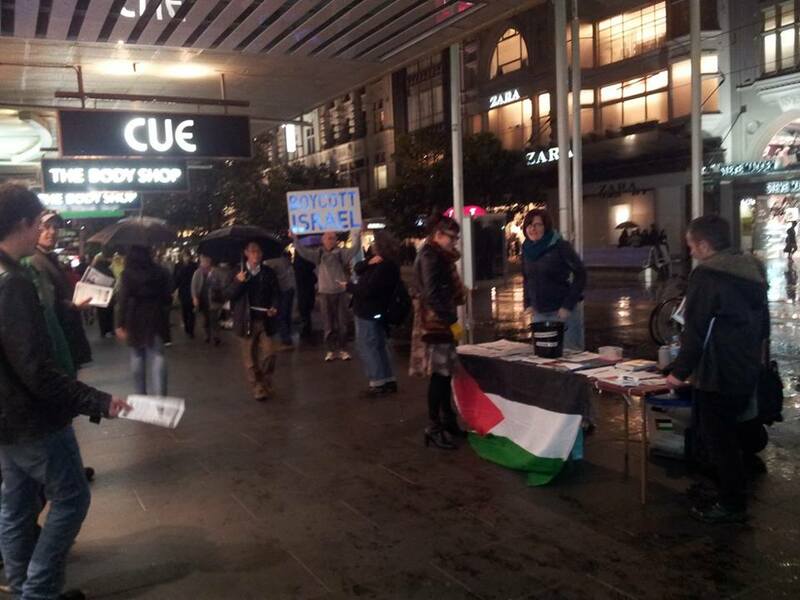 In 2011, the Australian ran a similarly obsessive campaign in its pages when the Sydney Marrickville Council passed a pro-BDS resolution and Melbourne BDS supporters began a series of demonstrations outside of one of the Australian Max Brenner franchises. The franchises are part of the global operations of one of Israel’s largest food and beverage companies, the Strauss Group, which become a focus for BDS protests because of it collaboration with the Israeli military. Not only is Strauss an approved supplier to the Israeli Department of Defence, it has also boasted of its support two of the military brigades heavily involved in Israel’s military assault on the Gaza Strip in December/January 2008–2009, an operation that resulted in the death of more than 1400 Palestinians (mostly civilians), including approximately 350 children. While the Australian’s latest round of BDS bashing reached ridiculous proportions in May, its initial anti-BDS reportage began in April, when University of NSW students announced they would protest against Max Brenner opening a store on their campus and the Sydney University’s Student Representative Council passed a motion in support of the Palestinian BDS campaign and Associate Professor and Director of the Centre for Peace and Conflict Studies at the University of Sydney, Jake Lynch. Over the last seven months, Lynch has become the Australian’s favourite BDS whipping boy, with the paper publishing numerous negative op-eds, editorials and news articles castigating him and the Peace Centre for their principled human rights stand. So why has the Australian become so obsessed with BDS? The Australian has long been associated with the ideological Right and big business in Australia. It has also long been viewed by those in the Palestine solidarity movement as an unabashedly pro-Zionist, pro-Israel newspaper. Chris Mitchell, the rightwing editor-in-chief of the Australian, is also well recognised not only as an ideological editor unafraid to push his opinion through the pages of the newspaper but also ‘strong campaigning, activist editor’ according to at least one member of his staff. According to some of Mitchell’s critics, including one of his former journalists, the paper has ‘replaced good journalism with agenda setting’. Media commentator, Jonathan Holmes from ABC’s Media Watch has noted that the Australian has become so ‘driven by its obsessions and campaigns’ that it is now a difficult newspaper to read. Former Greens leader Bob Brown has also accused the Australian of running an obsessive and agenda driven campaign against his party. In January 2011, Brown requested the parliamentary library to investigate how many times the Australian had mentioned the Greens or himself in editorials over the previous decade and whether or not their editorialising had been favourable, neutral or negative. The investigation found that during that period there had been 252 mentions, with 188 of them negative, 59 neutral and only five (or 2 percent) positive. A similar obsession can now be seen in relation to the Palestinian BDS campaign. It has become clear that the Australian’s reporting of the issue has become agenda driven, so much so that any fair reporting and commentary has gone out the window. The ideological nature of the Australian’s campaign against the Palestinian BDS campaign and its supporters is even more notable when you compare its coverage of the campaign to that of other newspapers, both in Australia and internationally. While the Australian ran 26 news articles, editorials and op-eds on BDS in May, Fairfax newspapers’ the Age and Sydney Morning Herald ran a total of two different news articles on BDS between them. Neither paper found it necessary to print either an op-ed or an editorial on the subject in that period. the decision to withdraw from a conference is a reasonable way to express one’s political views. Observers need not agree with Hawking’s position in order to understand and even respect his choice. The movement that Hawking has signed on to aims to place pressure on Israel through peaceful means. In the context of a Mideast conflict that has caused so much destruction and cost so many lives, nonviolence is something to be encouraged … Foreclosing non-violent avenues to give people a political voice ­– and maybe bring about an eventual resolution – only makes what is already difficult that much more challenging. In stark contrast, the week before Hawking’s boycott became public, the Australian demanded that peaceful non-violent BDS protests not even be tolerated. After the revelation of Hawking’s support, the Australian was uncharacteristically quiet. While three of the op-eds did make reference to Hawking’s boycott, the primary focus of two of them was not Hawking but a broader condemnation of the Palestinian BDS campaign. In the past two weeks, we have seen attempts to curtail freedom of speech stepped up a notch, with the Federal Opposition announcing, via the pages of the Australian that ‘the Coalition will institute a policy across government that ensures no grants of taxpayers’ funds are provided to individuals or organisations which actively support the BDS campaign’. Funds would be cut not only for BDS-related activities, but also for any research, educational or other purpose. On 30 May, Ean Higgin’s noted in his article in the Australian that the Coalition was also demanding that Federal Labor similarly pledge to also curtail the freedom of speech of individuals or organisations that supports BDS. 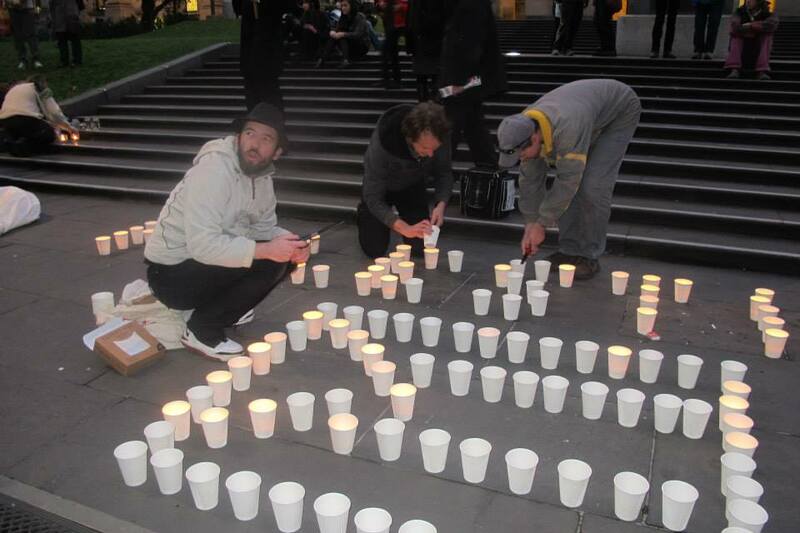 The false labeling of BDS as anti-Semitic is not unique to Australia. Israel and its advocates around the world have sought to discredit it and criminalise support for BDS. All such attempts must be strongly rejected, whether it is done by newspapers or politicians. The attempt to intimidate supporters of the Palestinian human rights must also be rejected. As Malcolm X noted, we cannot allow the media to convince us that it is wrong to fight against power and for the oppressed. Instead, we must not be afraid to make our voices heard in support of justice, freedom and human rights. 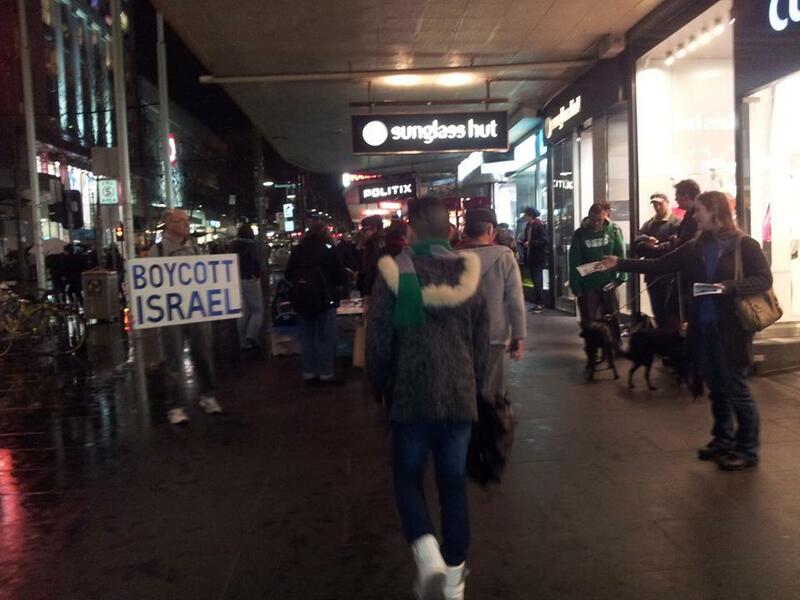 Last Saturday, August 25 the first Brisbane Boycott, Divestment, Sanctions (BDS) Walking Tour was held, successfully highlighting a number of stores in the Brisbane CBD that profit from the products of Israeli apartheid. The Tour spent around ten minutes outside the Children of the Revolution store where a speech was given about the Naot brand of shoes. A letter was delivered to the store management by two BDS activists, after which the tour moved on (see speech and letter below). The tour also visited David Jones which stocks Soda Stream products, Woolworths which sell Eskal products and more, Myer centre which has a Seacret Dead Sea cosmetics stall and the Department of Foreign Affairs and Trade. The BDS Movement is a non-violent campaign of civil disobedience aiming to bring Israel to account for its apartheid policies and occupation of Palestinian land. The BDS call was launched in 2005 by over 170 Palestinian organisations and demands an end to the occupation of all Arab lands and the dismantling of the apartheid wall; equal rights for Arab-Palestinian citizens of Israel and the recognition and promotion of the rights of Palestinian refugees to return home. 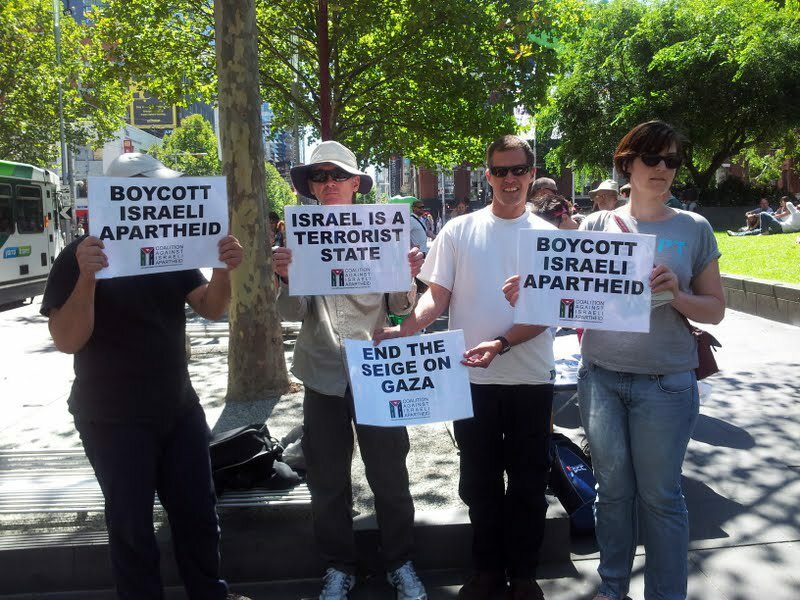 The Australian newspaper has used to occasion of the successful BDS Walking Tour to publish the latest installment in their campaign against the Boycott, Divestment, Sanctions movement. In an August 30 article by Christian Kerr in the Murdoch newspaper, BDS activists are portrayed as bullies and stand over merchants. In the face of the BDS Movement’s consistent exposure of the injustices perpetrated by Israeli apartheid, the campaign of lies by opponents of the BDS, like The Australian, is not surprising. They have to resort to lies and distortions because the truth is on our side – it is impossible to honestly defend apartheid and occupation and it is impossible to justify profiting from such inhumanity. Justice for Palestine, Brisbane will proudly hold further BDS Walking Tours to expose those that profit from apartheid and occupation. The article on the left is the report from the Perth Voice about the Friends of Palestine WA (FOPWA) action on Saturday October 27. FOPWA is calling on the WA government to cancel contracts with Veolia because of its relationship with Apartheid Israel. Veolia runs CAT buses and other parts of the Perth bus service through a subsidiary called “Southern Coast Transit”. Veolia also runs transport services to illegal settlements in occupied Palestine. These services reinforce the process of building and maintaining these settlements which violate Palestinian rights (as well as international law). These Veolia run services have also discriminated against Palestinians in terms of access and employment. Thanks for reporting the Friends of Palestine campaign calling on the state government to cancel contracts with Veolia. 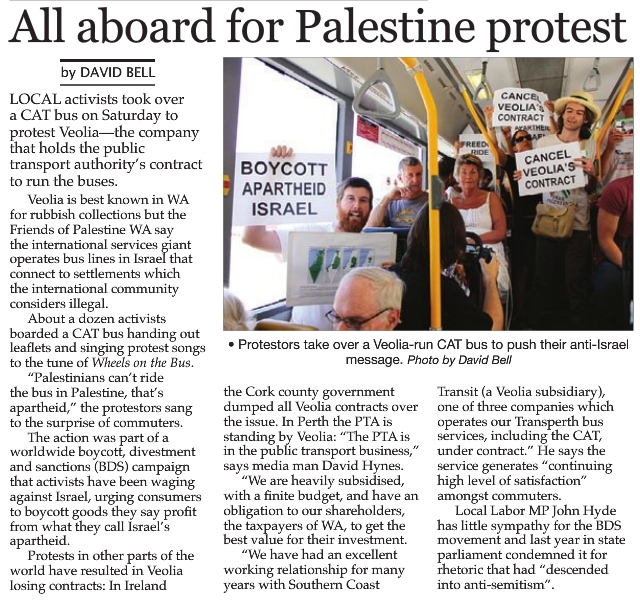 It is Veolia which runs parts of the bus system in Perth (via a subsidiary) and which is complicit in human rights abuses in occupied Palestine. Public Transport Authority spokesperson David Hynes responded by saying the PTA has a good relationship with Veolia which generates “high level[s] of satisfaction”. This is reminiscent of the supporters of Italian Fascism who praised Mussolini for having the trains run on time. Perth people care about human rights and we should not be using taxpayers money to prop up the profits of a company that benefits from Israeli Apartheid and the illegal occupation of Palestine. Finally, it is worth pointing out that John Hyde is incorrect to accuse the BDS movement of “anti-Semitism”. The BDS movement is entirely devoted to pressuring Israel to comply with international law and to stop discriminating against Palestinians. There is nothing anti-Jewish about supporting human rights. 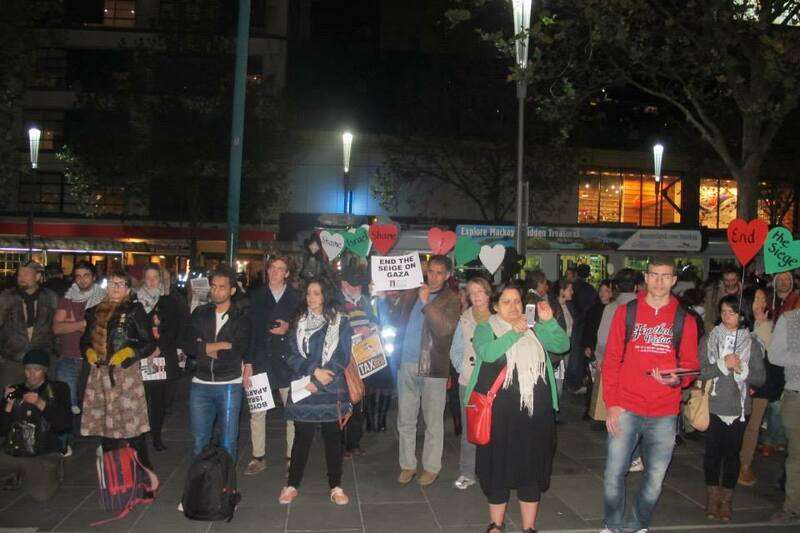 Two hundred people rallied in Perth on November 25 against Israel’s military assault on Gaza. Over the last year, Palestine solidarity groups around Australia have also shown a range of films on Palestine and hosted international guests such as Mona Al Fara from Gaza. due to overseas and other commitments we had not been able to keep this blog updated over the last year. We are hoping to now correct that and restart blogging here in support of the Palestinian BDS campaign, updating this site regularly on BDS and pro-Palestine activism around Australia. 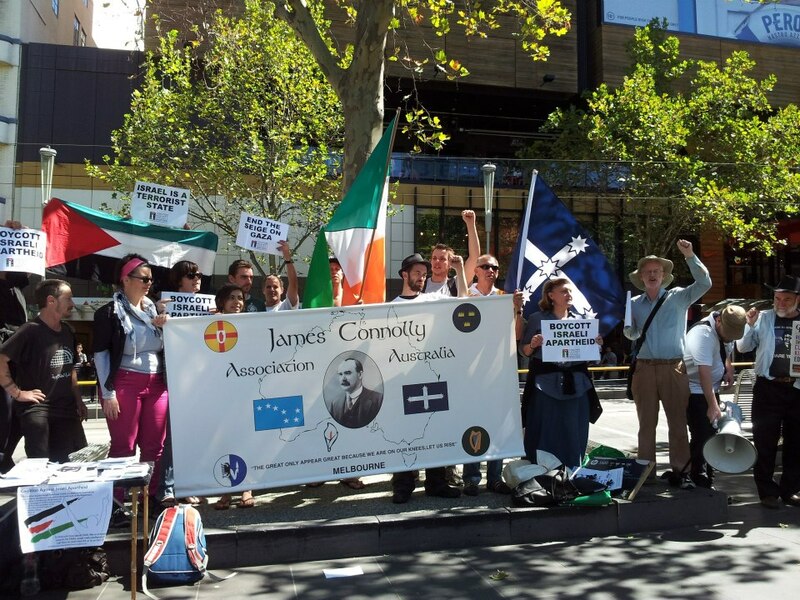 Over the last year, there has been a range of BDS and pro-Palestine activities happening around Australia and we will be collating a short round up of some of them to kick off the relaunch of this site.